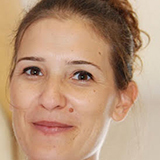 Inbal Axelrod, CMO at MyRouteOnline - multiple stop route planner. The evolution of business has rapidly increased over the last 25 years. The speed of technological advances has impacted all aspect of business, including the last bastions of manufacturing and transportation operations. Every business has looked to capitalize on technology to increase productivity and leveraging that into higher profit margins. With the Internet of Things, the connectivity has helped many businesses shine lights in places that have always been. Every transportation and logistics business desires full visibility of the supply chain from start to finish. With this knowledge, you can make better decisions for all shareholders, not the least of which is your customers. Saving money for your customers and your profit margin is a win-win situation. How can you do this using the IoT? There is tons of data out there waiting to be collected and analyzed. From vendors, employees, carriers and customers – there is data all throughout the supply chain – it is just a matter of collecting it. Whether through manual collection or systems integration, it is worth the effort to gain more insight on your business' supply chain.